There’ll be no over-reaction from trainer Chris Waller to correct the unorthodox racing style of classy filly Verry Elleegant but he is calling for the ear muffs for Saturday’s Group 1 $500,000 Vinery Stud Stakes (2000m) at Rosehill. Verry Elleegant currently races in a nose roll and as she showed in winning the Phar Lap Stakes (1500m) at her Sydney debut she carries her head high. That might be just a quirk of the horse but Waller is concerned about ensuring the filly settles better with the step up to 2000m. 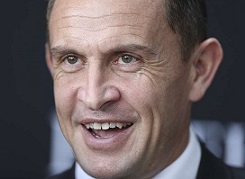 “It seems to be effective, I guess you could say Northerly had a different racing style as well,’’ Waller said. “The more you try to change them often can bring you undone. The ear muffs famously went on Winx prior to the Chelmsford Stakes in 2017. Winx also won the Phar Lap in 2015 then ran fifth behind Fenway in the Vinery, two starts before her winning streak, that now stands at 32, began. Verry Elleegant will be one of between two and four runners for Waller in the Vinery, one of the three Rosehill Group 1 races the champion trainer has never won. The Golden Slipper and Coolmore Classic will have to wait for next year but he’s a big chance of claiming his 98th career Group 1 this weekend with Zalatte and possibly Welsh Legend and Romani Girl also tackling the Vinery. Waller said Verry Elleegant has pleased him since her impressive win in the Phar Lap where she was the only horse in the race to break 36 seconds for the last 600m, running 35.75 (Punter's Intelligence). “She was unlucky not to win her first start (for the stable) and that was behind a good horse,’’ he said. “She certainly gets her Group 1 chance on Saturday. Zalatte pulled up 2/5 lame from the Phar Lap, where she could only manage seventh behind the stablemate, and she wasn’t herself in the parade and heading onto the track. Waller said the filly is in good order now and believes she needs firmer footing than the heavy 10 she struck on March 16. “It was just the very wet track, I would expect her to bounce back on a better track,’’ he said. Romani Girl and Welsh Legend come through the Group 3 Kembla Grange Classic (1600m) where they finished fourth and fifth respectively behind Pohutukawa. Waller said it’s possible they will wait a week for the Group 3 Adrian Knox Stakes (2000m) as their final lead up to the Australian Oaks. “I haven’t decided whether we’ll run her there or the Adrian Knox,’’ he said. In Saturday’s other Group 1, the $1.5m KIA Tancred Stakes (2400m), Waller has nominated Patrick Erin, Brimham Rocks and Shraaoh.